LIGHT UP your next corporate event, fundraiser, wedding, bachelor/bachelorette or house party with Ace of Spades Casino Experience! 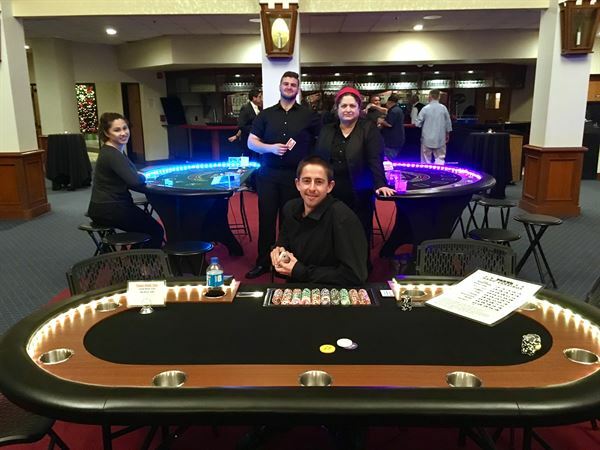 We are the leading provider of Lighted LED BlackJack, Roulette, Poker, and Craps Table rentals in all of Orange County! All Lighted LED Casino Tables make for an electrifying experience that will have your party shining brighter than the infamous Las Vegas Strip! With several colors to choose from, LED lights can be customized to compliment your party's theme or company colors. We also offer several package deals that include Dealers, all equipment, and efficient delivery to your event. Let Ace of Spades provide you with the ultimate casino experience! Call us now for available bookings and details!